This entry was posted in Blogging and tagged Blog Your Heart Out, questions. Bookmark the permalink. 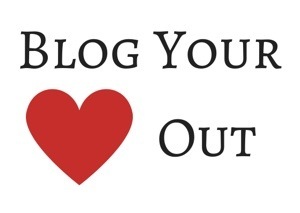 An excellent reason to start a blog – so wish I had started mine earlier! I really like your descriptions: sleepy, sporadic and organised….obviously not all at the same time! I tried amigurumi, but my crochet skills were way under par and it ended up looking like a knot instead of a cute dog!! Ha that made me giggle. My duck is looking much bigger than I had originally intended and is currently without any wings or feet so I can’t really claim to be much good myself! Thanks 🙂 give it a go yourself! I’m intrigued by amigurumi – whatever is it? Being rubbish at craft I don’t know much about these things! Hi! Thanks for your comment. Amigurumi is a type of Japanese crochet, it’s meant to be really tiny and cute but my duck currently looks a bit ridiculous!